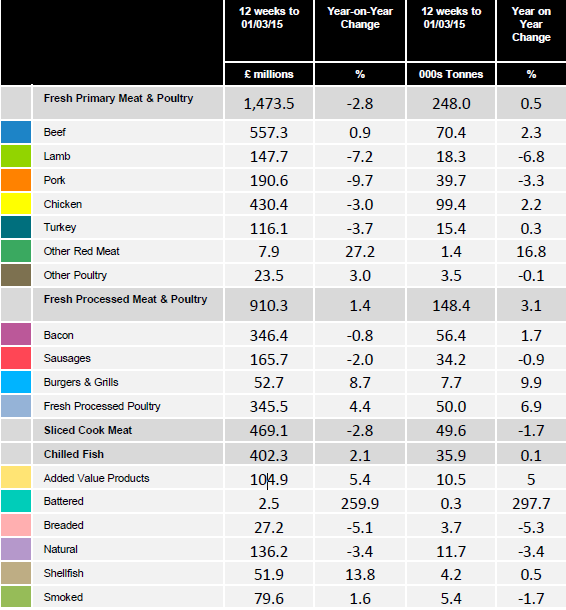 The latest Meat, Fish and Poultry (MFP) figures from Kantar Worldpanel, published today for the 12 weeks ending 1st March 2015, see all categories (except Sliced Cooked Meats) in volume growth. Love was in the air (for the MFP category) this Valentine’s Day with Meal Deals growing significantly versus last year. All retailers had increased focus and publicity for Valentine’s Day promotions, successfully driving growth in Meal Deals over £10. 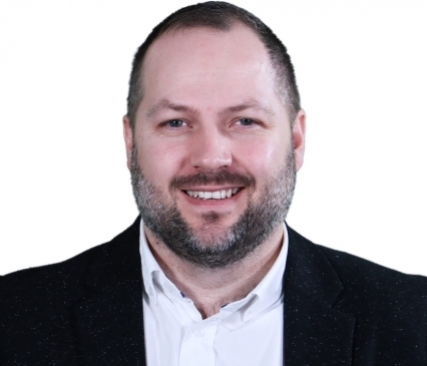 Nathan Ward, Strategic Insight Director for MFP at Kantar Worldpanel explains: “While it’s good news that all categories have experienced volume growth in the latest 12 weeks, Fresh Primary Meat and Poultry continues to be hit by deflationary pressure across the major categories. The average price per Kg is down 20p vs last year and is one factor stimulating volume growth. The volume growth in Beef & Chicken has been driven by falling everyday prices in Beef Mince and Chicken Legs and increased price promotions in Beef Roasting Joints and Chicken Breasts. 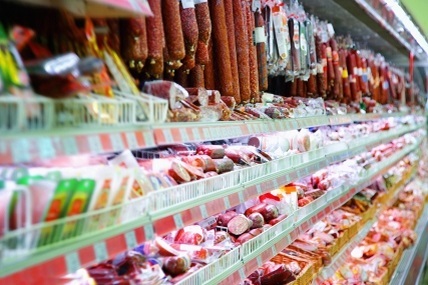 The activity in Beef has driven ½ million more shoppers into the category compared to last year. Chilled Fish has seen year-on-year volumes level off as fewer shoppers buy the category. Value continues to grow ahead of volume with Premium Shellfish helping to drive this. Natural Fish is driving the slowdown in volume, led by Haddock, Trout and Plaice, with volumes dropping back in the latest period. The next announcement of the MFP figures from Kantar Worldpanel will be on 9th April 2015.